I celebrated my 41st birthday last week. When I say celebrated, it was more like tolerated. It’s inevitable that God puts people in our lives, who keep us humble, by presenting us with annual “joke gifts.” I have received countless gifts from friends, family and former students, who seem to find great humor in my age, and the effects that age has had on my body. 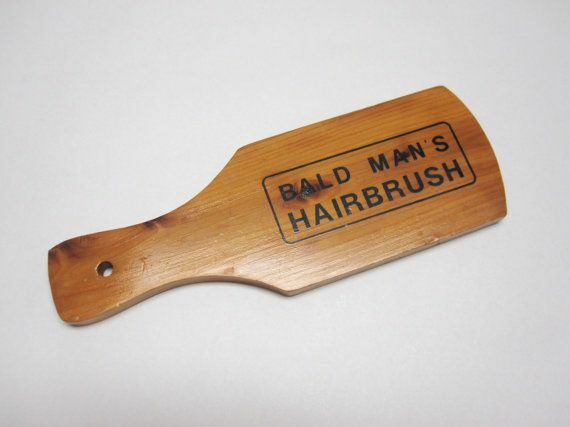 A couple of years ago, my brother gave me a “bald man’s hairbrush” for Christmas. It had no bristles, just a flat board. However, on the bright side, it was made out of cedar, so I threw it in my closet to keep the moths from eating my sweaters. This past week, a couple of my former students, chipped in their financial resources to buy me a $2 hair re-growth product, for my birthday. I blessed a friend of mine by giving it to him absolutely FREE!!! Last year, I again, had some students pool their money to purchase me a hearing aid, pill dispensers, hair growth treatments (see a pattern?...like male pattern baldness), denture adhesive and cleanser. I took it all back to Wal-Mart, and walked out $30 richer!!! Most people, I know, enjoy receiving gifts. I am no different. But let’s be honest, there are times when we receive gifts that we just don’t want or like. In addition, you have likely gifted unwanted gifts to others as well. For instance, one year for Christmas, I gave my older brother a mouse pad (I know…a mouse pad is so obsolete…but this was like 10 years ago) with my picture on it…I know right!? Who wouldn’t want that? To his credit, he still uses it…though I have to say it is a little creepy to see my face looking back at me from the side of his keyboard. In John chapter 2, we encounter a story where Jesus goes to a wedding. While at the wedding, the wine runs out. This is a huge cultural faux pas. It could, perhaps, be seen as the equivalent of running out of wedding cake before I get any. Jesus does something amazing. He gives. He gives, not only, a “sign” of his deity, but also, he gives abundantly out of his abundance. He gives quality out of his greatness. It is thought that Jesus gives the financial equivalent of about $15,000 worth of wine to this wedding party, and likely, the wedding party didn’t even know he had given it. How often, do we miss the gifts that we receive on a regular basis? Perhaps, we even notice the gifts, but we write it off as…ehhh…insignificant…perhaps even unwanted…or no big deal. Jesus has given us amazing gifts. In fact, he gives us gifts, so often, we may not even be aware. Food is a gift. Taste…is a gift. Have you ever thought what it would be like to eat, but not be able to taste? Sight is a gift. Music is a gift. Sweat is a gift. Could you imagine a hot summer day without the ability to sweat…and cool yourself off? Not to mention, everyone likes to be around sweaty people right!? Grace. Grace is the greatest gift of all…and so often I think we take it for granted. I challenge you to take some time to slow down and reflect on the gracious gifts that the Lord has lavished upon us. Sure enough, the call comes about 30 minutes later…they are ready for my help. I recruit my son to come along and lend a hand as well. As we arrive, I am quickly informed that there are two pianos…one will come out…and one will go back in. Ok then. Truth be told…it went pretty easily. We had two strapping young men…myself and my neighbor…he is almost a full month older than I am, two pre-teen boys, and my neighbor’s wife…who’s age will remain unstated…it’s risky enough for me to be writing this in the first place. After the first piano was removed from the dwelling….my son…mysteriously disappeared…I hope he did not get trapped under or inside the piano…though if he did, it would serve him right for not helping with the second one. Even with my son’s absence…we had nearly no trouble with the second piano either. I cannot deny that my back was a little tight…and that when you drop a piano on your foot, it does cause some pain…but not enough that I couldn’t limp home afterward. In each of the Gospel writings of the Bible, we see Jesus make the “call.” His call is vastly different than the call I received from my neighbor…but it’s a call just the same. We read in the Gospel accounts of these calls, how in most cases, Jesus approached the men and “called” them by saying “follow me.” In most of these circumstances, the men dropped what they were doing…and they followed Jesus. When these men chose to follow Christ, their lives would never be the same. They would experience many hardships while following Christ…much harder than hauling a piano, or even dropping one on your foot. Yet, there is a promise of reward. John 1:50-51 gives us just a glimpse of the reward that was promised to his disciples…and we see in passages in Mark 10 and Matthew 19 and Revelation 21…promises of rewards a hundred time greater than anything we can experience here on earth…including a beautiful picture of how death, dying and crying will be no more…a time when pain will be wiped away. It all starts with answering the call. 1 Peter 5:10, “And the God of all grace, who called you to his eternal glory in Christ, after you have suffered a little while, will himself restore you and make you strong, firm and steadfast.” He has given us…you…and me…the call…but it’s up to us…will we answer? It may mean that we may need to experience hardships…but there is a promise on the other side. My wife is originally from the Detroit, Michigan area…more specifically Dearborn. Dearborn is the home of Henry Ford…he is that one guy who invented the idea of the “assembly line”…remember? He has also been quoted as saying, “You can buy his Motel T in any color you like as long as it’s black.” Though she knows where 8 mile road is…I think she knows…she lives nowhere near there. I am originally from North Central Minnesota, where you may drive 8 miles before you come to another farm house. We met in college and I quickly realized that she was crazy about me…ok that’s not true…I was quickly infatuated with her, and it took me about 2 years to convince her that I might have potential in her eyes. We started “seeing” each other in February. Wow! our “first date” anniversary is right around the corner. We will probably celebrate by feeding the family supper…cleaning up all of the supper dishes…yelling at the kids for not helping clean up the supper dishes…yelling at the kids for not going to bed…cleaning up the backpacks from the living room after the kids have finally gone to bed, and then falling asleep in our separate recliners….it’ll be a lot like Valentine’s Day. It really goes without saying, but after Sarah and I began our relationship, I always wanted to spend time with her. I would call her up and ask to walk each night…usually pulling her away from her school work. I didn’t have any school work because I was always so diligent in class and finished it before it was even assigned...ok…not true. I would meet her after class, just to spend the 90 seconds it took to walk her to her next class. Even if I didn’t know where she was…I usually knew where to look for her…the library…studying. I would run into her there ALL the time, because I was ALWAYS studying too…huge coincidence huh? The first summer after we began seeing each other, I had decided that I was going to drive out to see her in Detroit. I set the date, made the plans, and was ready to drive my Pontiac J200 station wagon 800 miles with bad wheel bearings just to be with her. Sure, we wrote letters. Sure, we made phone calls, but there is something about being face to face…rather than facebook to facebook…(that hadn’t been invented yet…in fact, Mark Zuckerberg was like only 13 years old at the time). Being with her was so important to me, that one time, I was willing to leave my family on Christmas day and fly out to see her. Apparently, she felt the same at this time, because she began a fundraising campaign to buy the ticket. I was crazy about her. I believe that Jesus feels similar. I believe that Jesus is crazy about us. I believe that Jesus is cray cray about you! (Though I am 40 years old I can still use “hip” teenage lingo…cuz I have a teenager at home who groans every time I use words like “cray”, and “jelly”, and “fo shizzle”…I think, secretly, she still sees me as cool). John 1:14 says, “The Word became flesh and made his dwelling among us…” Not only did Jesus come as a human…God in the flesh…but the passage says he dwelt “among” us. It’s like he came and put up a tent in the back yard. 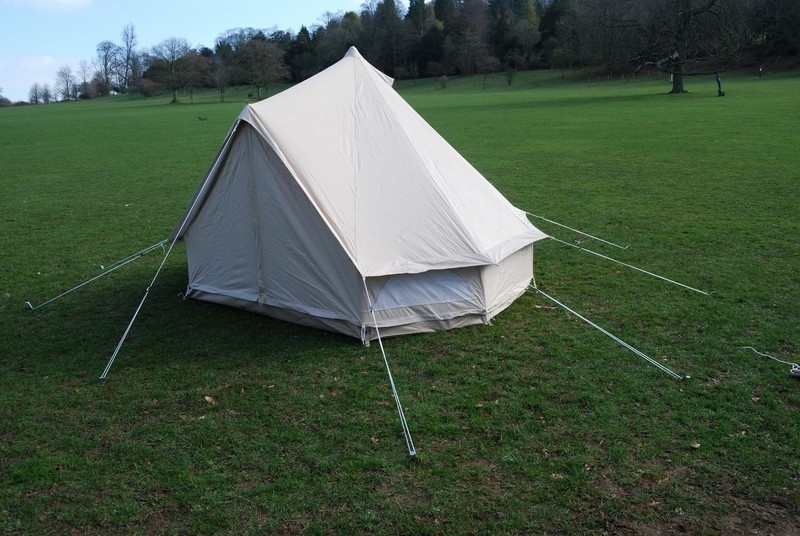 It’s like a granny pod…only better. He came to “be” with us, like a parent longs to be “with” their child. He made his dwelling here with us, among us. At the very end of the Gospel of Matthew we see Jesus giving us encouragement…that he will “always” be with us. Sometimes it would be nice to have Jesus in the flesh…right next to us…right now…but, He promises to those who have chosen to follow Him, that one day, we will once again be with Him…face to face.